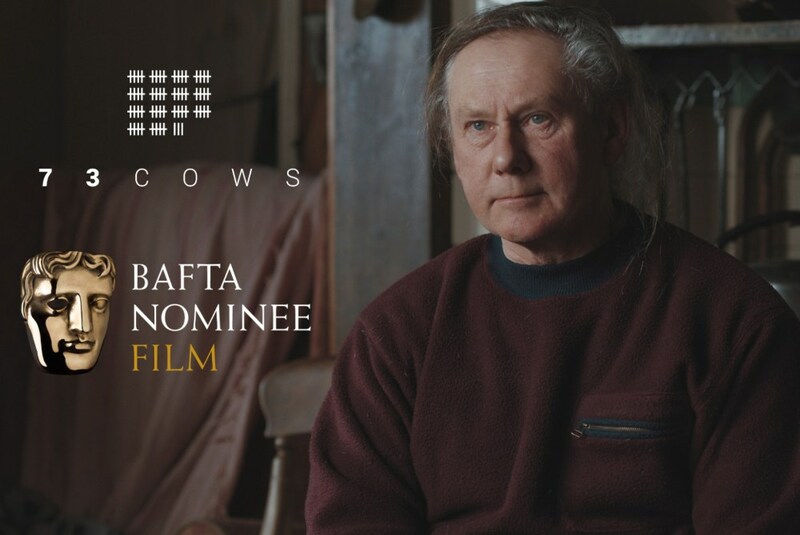 BAFTA-winning vegan film 73 Cows is now available to watch for free online on Vimeo - and has garnered more than 150,000 views in under two days. The multi award-winning short documentary tells the story of Jay Wilde, a former cattle farmer who gave his cows to a sanctuary and went vegan, when he could no longer face sending the animals to slaughter. The film, which was initially free to view on Vimeo, had to be pulled offline due to BAFTA regulations. Now viewers can access it once more. "The response to the re-release of 73 Cows has been incredible," said the team behind the film. "Thanks to everybody who has messaged and shared our film - [it has now] been viewed over 150,000 times." Since its launch, the film has scooped top honors at the Ottawa International Vegan Film Festival and the Audience Favorite Award from the Four Seasons Film Festival as well as its big BAFTA win for Best Short Film. "When we set out with no budget and a such a small team, we never anticipated that the film would get the response that it has," Director Alex Lockwood told Plant Based News. "We've all been making films for a long time and so it's great to finally produce something which is having an impact. We owe a huge thanks to Jay and Katja Wilde for letting us tell their story which has resonated with so many people."